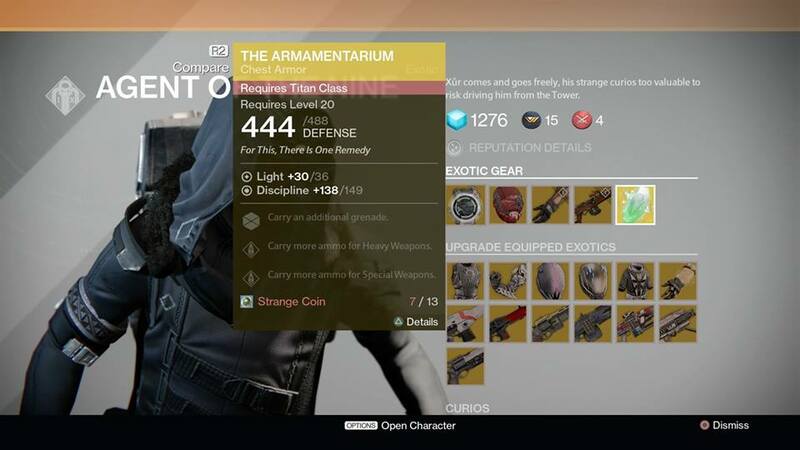 Just in case you’re checking here, the January 2, 2015 Destiny Xur location and item post can be seen here. Holidays or not, Xur – Agent of the Nine is back once again to pawn off his wares, and that means another PlayStation LifeStyle Destiny Xur location and items post for the weekend. For this week, Xur is in the Vanguard Room, so he should be very easy to spot. As for his stuff, the hooded vendor is once again selling a host of familiar Exotic armor and weapons, which should those Guardians looking to upgrade their equipment. You can check out his items for sale in the gallery below. Those looking to buy the Claws of Ahamkara from Xur might want to check out our item overview video to see what’s in store. In other Destiny news, Bungie has revealed a few year-end stats regarding its debut title out of Microsoft, and the numbers might surprise you. Now, for those looking to buy Destiny’s first expansion, The Dark Below, make sure you read up on our review to see if it’s worth a buy or not. That’s it for this week. Let us know which Exotics you’re planning on buying this weekend; provided you can get online on PSN.